Mura Masa has today shared an atmospheric Nighttime mix of What If I Go?, as well as airing a performance video of the breakout, Bonzai-featuring single (filmed live across dates around the world this year). 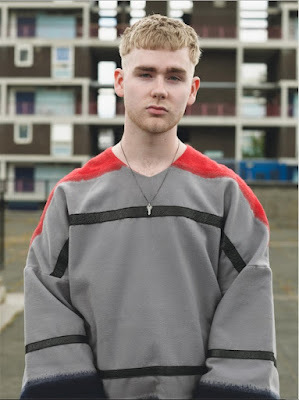 2017 has been a truly transformative year for the 21-year-old, Guernsey-born artist and producer, who recently saw his critically-acclaimed debut album, Mura Masa, nominated for two Grammy Awards (including Best Dance/Electronic Album). An extensive European headline tour concluded with Alex’s long-sold-out date at Brixton Academy and an especially-curated Manchester Warehouse Project show, in the wake of extensive dates worldwide. Further live plans have already been announced for next year, as below, with brand new music (including recent work with Haim and Jadu Heart) plus additional shows also in the pipeline. His debut album announced Mura Masa as one of the most exciting young music-makers in the world right now, and 2018 looks set to suggest that he’s in fact only just getting started.